Predator Open Mouth Predator ReAction 3 3/4-Inch Figure Funko Predator Action Figures This Predator doesn't bleed, but it is retro! Features 5 points of articulation, just like the classic Kenner action figures of the 1970s and 1980s! Exciting retro action figure from Funko and Super7 sports fully extended and freaky mandibles, just like in the original movie! Go back in time and reminisce about the good ol' 80s with this Open Mouth Predator ReAction Retro Action Figure! The ruthless hunter Open Mouth Predator comes in retro Kenner format. 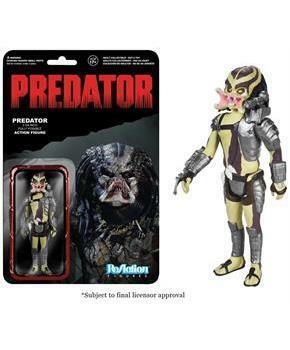 This Open Mouth Predator Action Figure is a must-have for all Predator fans! 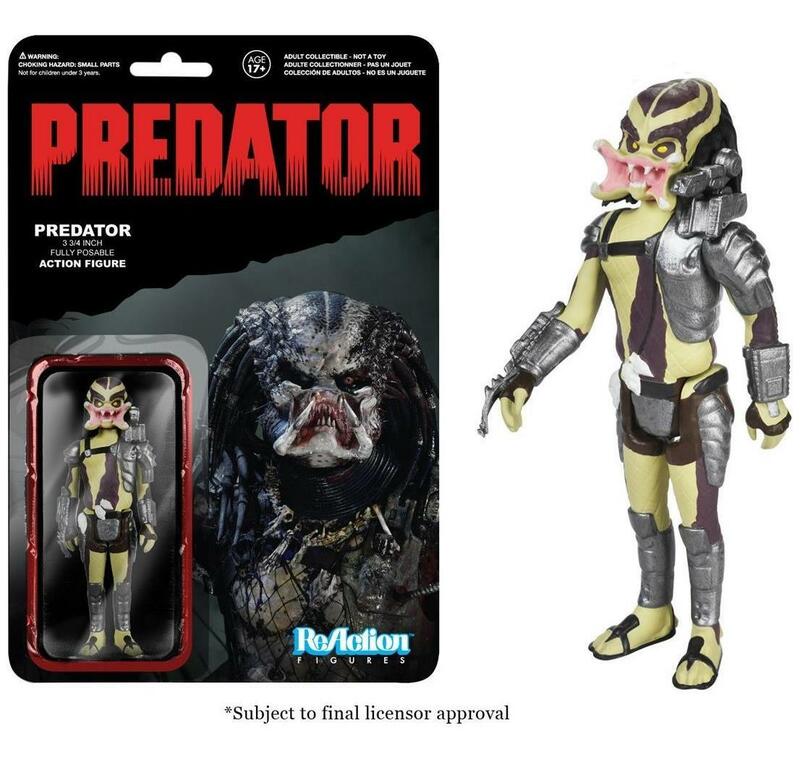 This 3 3/4-inch tall ReAction Open Mouth Predator Action Figure has 5 points of articulation and features the 1980s style card back design, with a coffin-style blister where the action figure is displayed! Each card back features a memorable look of the character from the classic movie. Ages 17 and up.